So Valentine’s day is literally days away!!! Who else is excited? I normally don’t celebrate occasions … not even my birthday for that matter. But now that we have Josiah King, I would just about pick any event as a reason to celebrate and make our little one smile. Another thing that I look forward to Valentines is the “acceptable” excuse of indulging in some sweets. Okay, so here’s the thing … I already munch on quite a few sweets regularly. I happen to have a sweet tooth, and it is just quite hard to resist. So I had to figure out a way to satisfy my cravings without having to take a trip to a sweet shop, bakery, or grocery store on a regular. I mean, let’s be practical here … those sweets can quickly add up in cost! 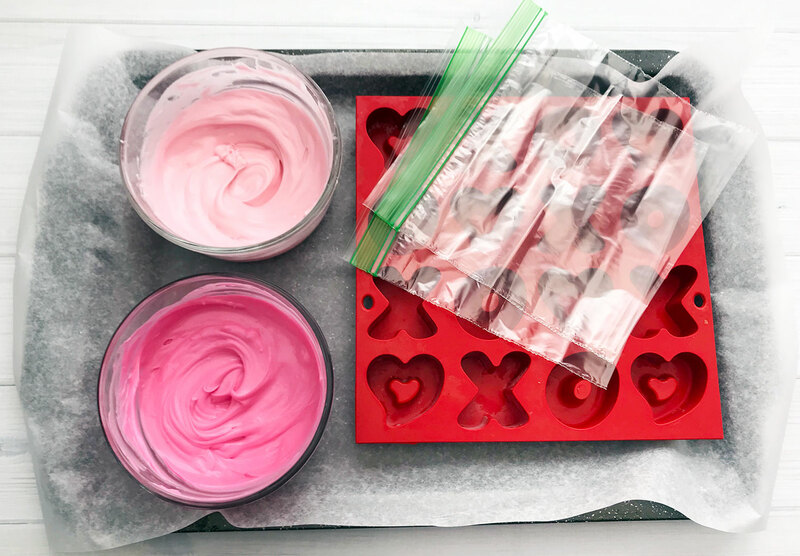 So for today’s post I am sharing one of my favorite and well requested Love Inspired Valentine Cupcakes. Ooooh I tell ya, you’re going to love this a bunch!!! Combine the butter, egg whites, sugar, sour cream, milk and vanilla extract. Fold in the flour, baking soda and baking powder. Line a 12 count muffin tin with cupcake liners. Fill each muffin well about 1/2 way with cupcake batter. Bake 18-20 minutes. Insert a toothpick around 18 minutes, if it comes out clean the cupcakes are done. Gently pop the chocolates out of the silicone molds and place one on top of each cupcake. *If you don’t want to use a sandwich baggy, use a small spoon to scoop the melted chocolate into the silicone molds. Now that you’ve seen how these cupcakes turned out … what do you think? I honestly think they look sooo adorable. Too cute to eat, but too delicious not to enjoy. Let me know if you’ve given it a try! Super sweet idea and not only for the exquisite cupcakes, but also for the idea of ​​”game”. Wow! Oh, these are so cute! And so perfect for Valentines! The cupcakes are so darn cute! 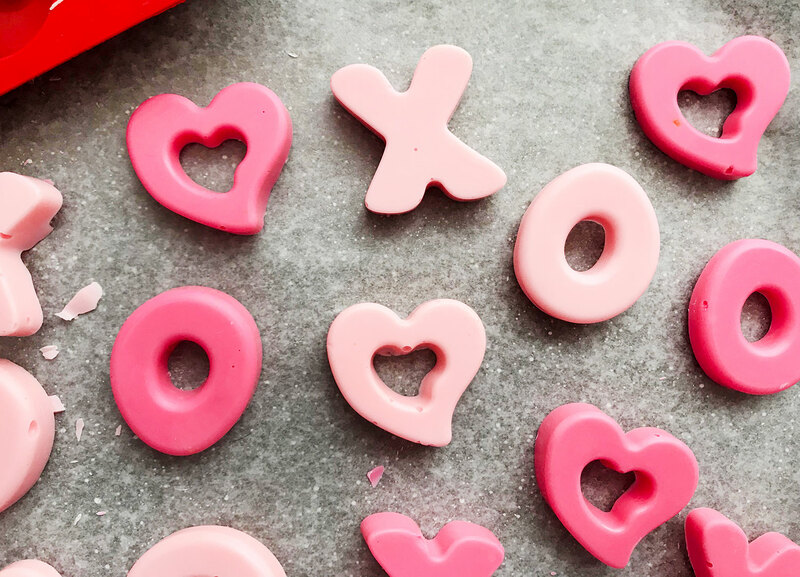 The Xs and Os are so sweet – literally and figuratively. Thank you for posting a recipe that is so visually appealing and easy to follow! I would love these for sure. They look amazing. I’ve always been a fan of a good cupcake! oh Angela! These cupcakes are the cutest ever, you’re so talented. Thanks for the awesome recipe. What cute cupcakes. I need to get that candy mold as it would be so useful for me. They look so cute! I appreciate the creative work you did put in coming up with this, I think this is the best cakes to have for the valentines day. These cupcakes are the cutest. I bet they taste awesome too. What a great idea for Valentine’s Day! We love baking during the holidays and this would be perfect for the weekend. Those cupcakes are so cute! I love cupcakes! i am so bad at making them though! I’ll have to save this idea for next year; I ran out of time and couldn’t get much planned for our kids! Love this idea though! These are so cute, I made cupcakes today, I’d have loved to have decorated them like this for the day. 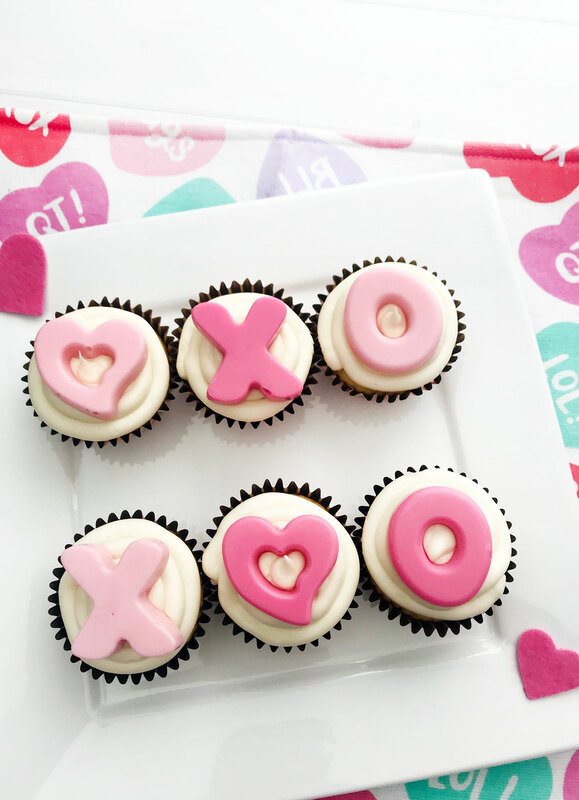 Oh these are some really cute cupcakes I love the idea of having the XO and on top. Most definitely perfect for love day. These cupcakes look yummy! A prefect treat for the Valentine’s day occasion! Great recipe! 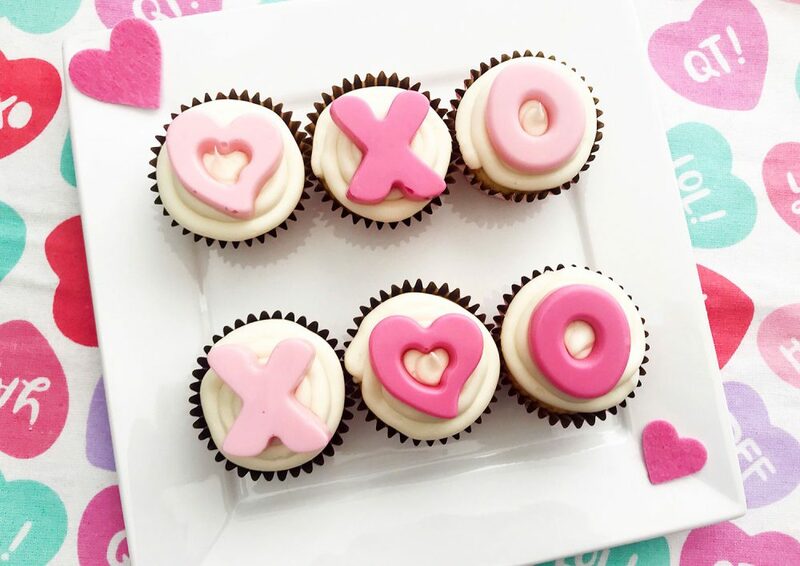 These are some of the cutest Valentine’s Day cupcakes I’ve ever seen! Definitely will have to give these a go. These are all super lovely to have. I like how you have designed all of it. It looks like I already found a perfect gift to make for many occasions. These cupcakes are adorable! And I think they are easy enough for us to try to make! I love cupcakes too!!! But I just find it too tedious to make, although I haven’t really attempted at making one, haha. 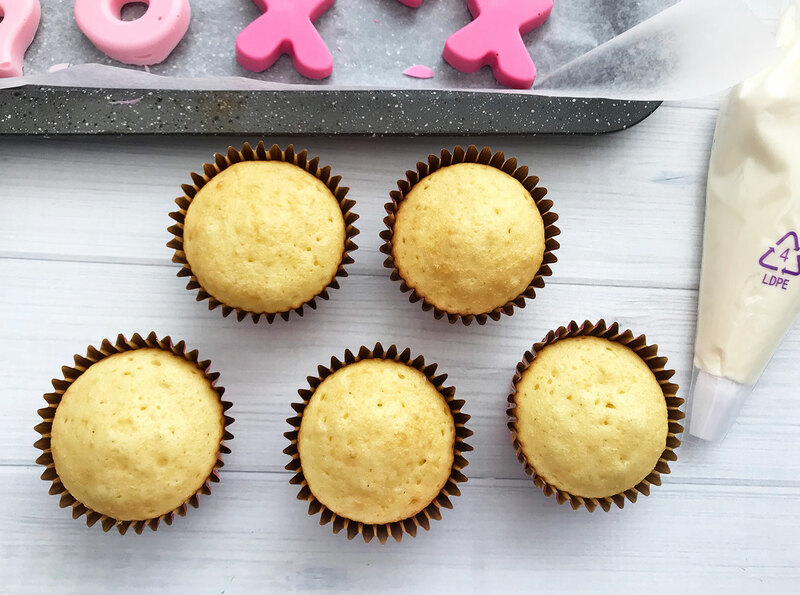 Thank you for sharing this recipe- I adore cupcakes but have never tried to make it myself. I will now, seems more simple than I thought and how stunning is yours! Gosh, this is so cute and fun to make. I am sure that special person to receive these DIY cupcakes will be so happy. These are adorable! 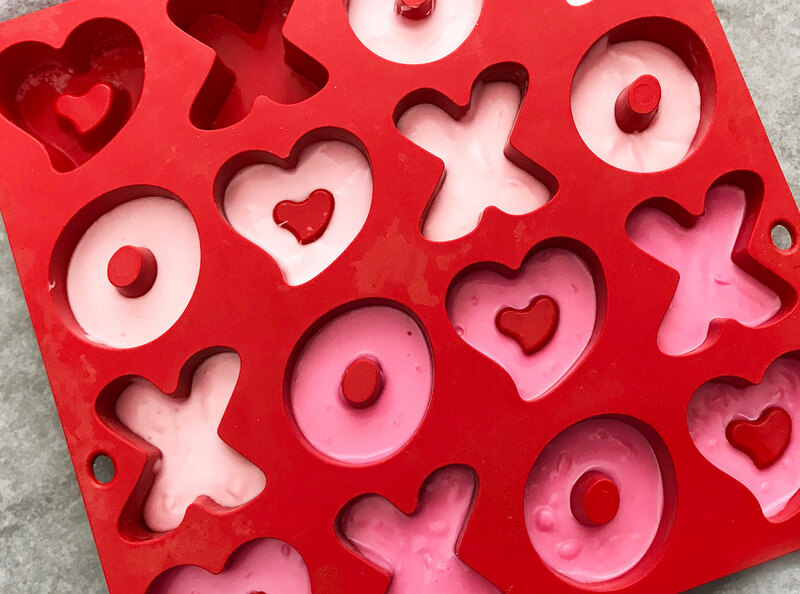 I love that candy mold that you found. My kids would have so much fun making these (and eating them, haha)! These are SO CUTE!!!! Your pictures are just lovely – so bright and colorful. We went to a local cupcake shop to get a Valentine’s Day cupcake yesterday, but these are way cuter! 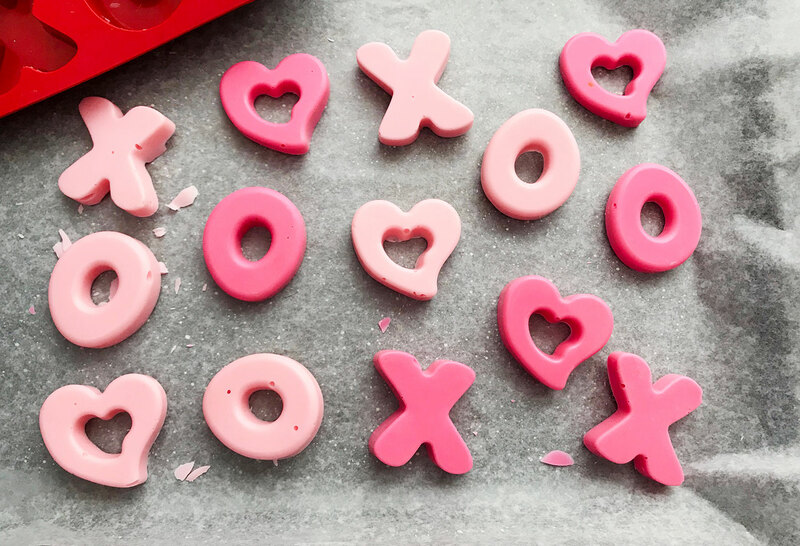 This is such a cute idea for Valentine’s Day cupcakes. I would love to try making these sometime. These cupcakes are absolutely adorable! I am going to make some with my son this weekend. Those cupcakes are adorable! I just love the colors and the creativity!! These are just too cute!! What a great idea for the decorations of the Xs and Os on top. Love this idea! Your cupcakes turned out adorable! I love the simple Xs and Os. So cute! I would definitely try that idea. Those do look like really fun cupcakes there. I know my daughter would love them. But I wonder if there is a better thing than the melting candy to do the letters. Probably not but not a huge fan. These are such a sweet idea and we love the decoration on them – would be cute for an anniversary too! How cute?! This seems like such a simple way to make Valentines fun with family. You recipe seems easy to follow from making the of the cupcakes to the chocolate molds. Thanks for sharing. I love these cup cakes. So cute and unique. Great design, seems pretty simple to make too. These cupcakes are adorable! What a great idea. I think I’ll make some for my Anniversary to surprise my husband! wow, they are so cute and lovely! I should have seen this before Valentine’s day! 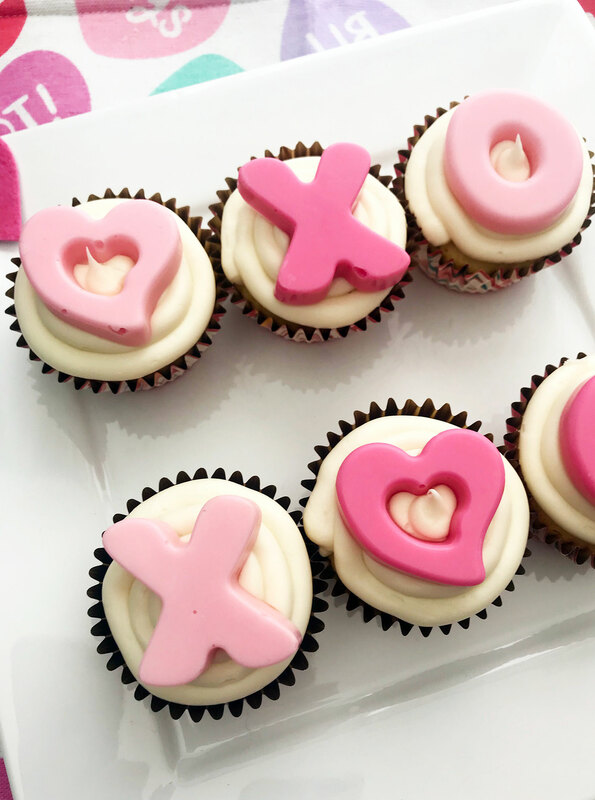 These cupcakes are so cute and will be definitely great for valentines day. Thanks for sharing.